Home » Personal Development » Leadership » How important is Posture to the success of your home business? 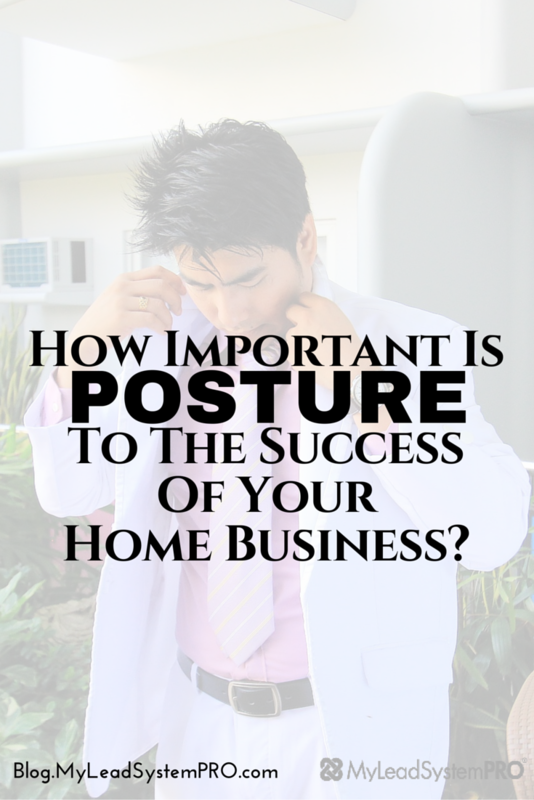 How important is Posture to the success of your home business? Your level of posture will either get you great results in your business or keep you broke! So what is posture? Posture is an attitude and confidence, a belief in what you have (your biz opp) and a belief in where you are going with it. That you are going to the top no matter what. 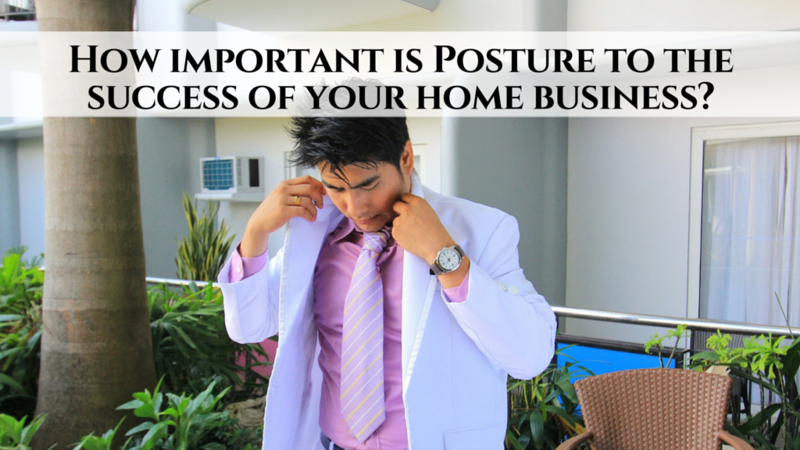 Having posture is a MUST if you want to be successful in your home business. Prospects feel your posture or lack of. When you display posture your prospects will have much more confidence in you and will be MUCH more likely to join your business. Showing your prospects you are NOT attached to the outcome of your conversation, whether they join you or not, will draw them to you even more. When they feel you are not all that concerned if they join you are not it makes them even more interested in what you have. What NOT having posture looks like is when you are bugging or convincing prospects. This only results in making you look desperate, self doubting and unsure about your business opportunity. If you don't come across as fully confident in your biz opp. your prospect will not have the confidence in it or you either. They will join someone who does fully believe in what they are doing and where they are going. So when speaking with prospects it is a must that you hold your posture and speak with conviction and authority. . Posture is felt by your prospects and when they feel it YOU will recruit more people, build your business faster and ultimately make more money. So what is posture? Click here to learn what it is , and how and why to have it. My name is Erin Birch. 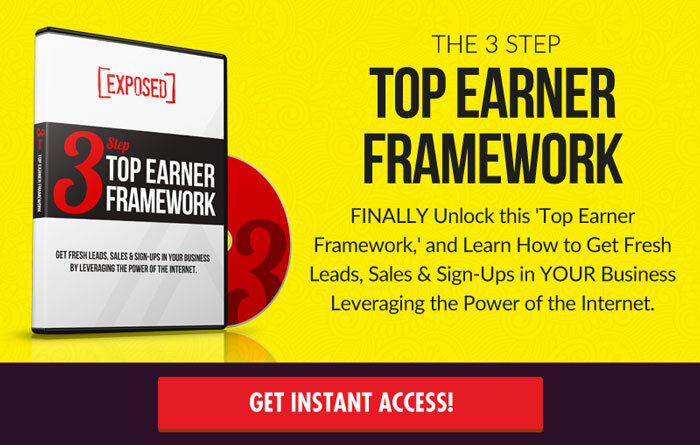 I am a network marketer, affiliate marketer, coach, and trainer. BUT, only 2.5 years ago I was a BROKE, struggling network marketer. Brand new in the industry, didn't have a clue what I was doing. Did what my MLM told me to do, spam all over facebook, bug all my friends and family and viola! It kept me broke! And then I found MLSP! Once I learned the RIGHT way to market, to brand ME and provide value to an audience I grew, my circumstances changed. I was able to earn 6 figures in my very first year. MLSP has completely changed my life and if could do the same for you!